Custom-built wood furniture is gaining popularity once again throughout the world. More frequently, customers are looking for something designed specifically to their needs and aesthetics. As with any custom woodwork, sometimes a little extra embellishment is desired. Metal accents are timeless companions to wood, offering gentle coolness to the warmth of the natural material. Using metal as part of furniture adds elegance and interest to a piece, and decorative wire mesh is growing ever more popular as that material. Decorative mesh is an incredibly versatile material for use in furniture design. 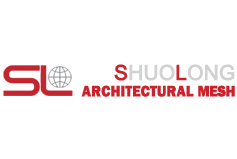 shuolong manufactures wire mesh patterns that are flexible enough to conform to a shapely structure or can be formed to specification on a press brake to fit the function of the furniture piece. Each wire mesh pattern has a distinct texture, allowing the variety of Banker’s wire mesh patterns to blend in or stand out in any piece of custom-built furniture.